Along with our new UI update we are now providing an enhanced security option for your account called Two-Factor Authentication. Two-Factor authentication (2FA for short), is an additional layer of security also known as "multi-factor authentication". 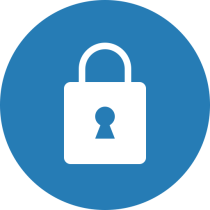 In order to access an account with 2FA, users must provide not only a username and password, but also a short lived token known only to the person logging in. 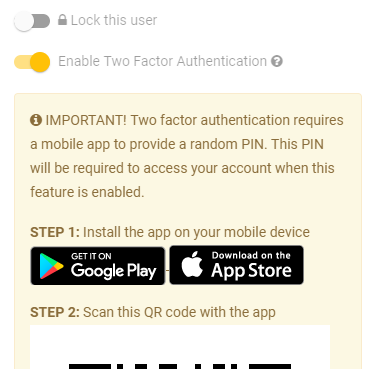 Our 2FA implementation utilizes a a time-based one-time password (TOTP) generated by a dedicated app called Google Authenticator available for Android and iOS. 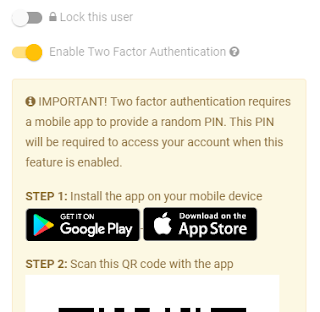 Enabling 2FA is as simple as toggling the option for any user in your Revel Digital account, then follow the steps provided to install the Google Authenticator app. Once toggled any subsequent login will require the use of the app in order to login along with the associated login/password. According to the 2015 Verizon Data Breach Investigations Report, 95 percent of breaches involve the exploitation of stolen credentials, many of which can be traced back to passwords stolen from company employees. Needless to say we take our security seriously and we encourage our users to utilize this feature. For any questions or assistance please contact us at support@reveldigital.com, or just click the chat box available when logged in to your Revel Digital account.